Joyce Wood steps down from her position on 8th Street after serving seniors since 2011. When Joyce Wood concluded her interview for office coordinator at the Gresham Senior Center in 2011, the board president concluded by telling her, "You're just the first person we've met with, so we'll be in touch." It would turn out the board never met with anyone else to discuss the position, and a few months later Wood was hard at work alongside the many volunteers who make the center a special place. A few positions later, Wood became the program manager. Wood said her favorite part about working at the senior center was the "variety of duties and people" she interacted with every day. But now she will be leaving the senior center, the allure of retirement and sunshine in Arizona proving too strong to ignore, and the Board of Directors is looking for someone to fill the position. "The best person for the job is a jack of all trades, who wants to make a difference for seniors," Wood said. Her last day will be Dec. 29, and the hope is to hire someone who can shadow her for a week to learn the ins and outs of the center before taking the reins. They are looking for someone who is good with seniors and volunteers, interested in developing the bi-monthly newsletter, helping with fundraising and managing the center's day-to-day needs. "We are looking for a young senior, someone who has energy and can work independently," said Charlyn Salb, president of the senior center. Whoever lands the 32-hour a week paid job will work out of the center at 600 N.E. Eighth St. Those interested should apply between Dec. 4 and 12 at the office, or call Salb at 503-915-9218. 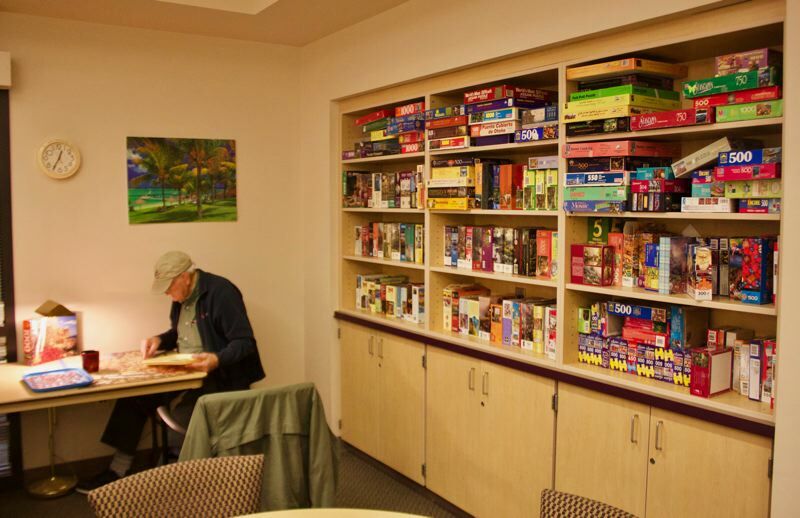 The center allows local seniors to remain involved and active in the community. 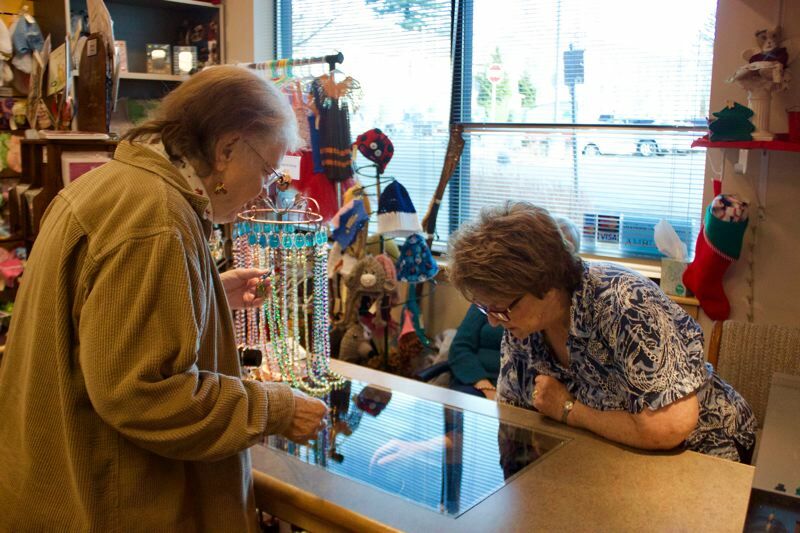 It offers education, recreation, health and social programs to serve seniors and their families in East Multnomah County. "This is a place where the seniors come to have fun," Salb said. "Seniors have a tendency to sit and watch the four walls close in on them. If you don't keep busy you lose your purpose." 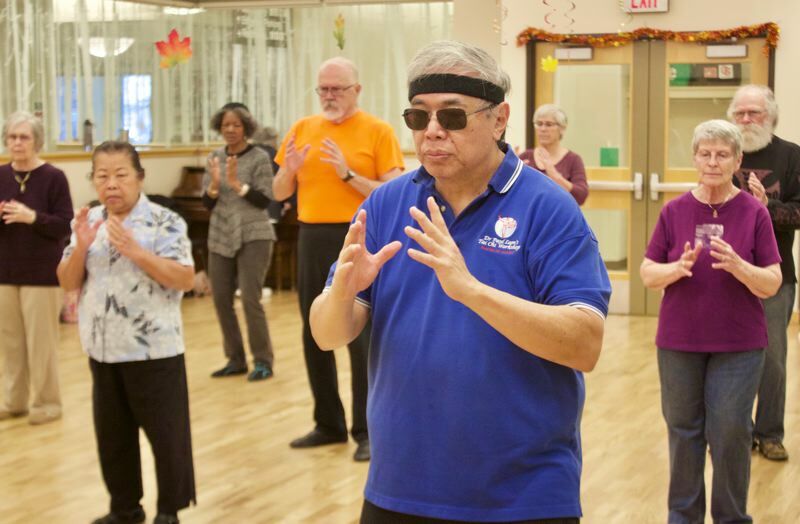 Classes offered at the center include dancing, painting, quilting, Tai Chi — which is the most popular — writing, pinochle, bridge, bingo and much more. The center also organizes visits to places like nearby casinos and the Portland Art Museum. None of it would be possible without support from the many volunteers who keep the center running. "I've enjoyed every minute volunteering here," said Vice President Bernie Walter, who also delivers for Gresham's Meals on Wheels Ambleside Center. There is no minimum age requirement at the center, with Walter joking that as long as there is a little gray in their hair, anyone will fit right in. The center has about 300 active members, though it wants to continue to increase those numbers. "There are a lot of seniors in this area, lots of retirement homes," Salb said. The senior center, which has been at the Multnomah County Building since 2001, will celebrate its 50th anniversary next spring.